REVIEW - Mad Max - Use a Potion! It feels like 2015 may turn out to be a pretty good year for the Mad Max franchise. After a twenty year break we’ve finally seen a new movie in George Miller’s post apocalyptic franchise, Fury Road, and it’s been nothing short of a massive success. The wait for a new Mad Max video game, though lengthy, hasn’t been quite as long; his only video game outing appearing on the NES back in 1990. Everything about the Mad Max franchise would be well suited for a video game; you have the brooding anti-hero, a deadly wasteland setting, the crazy factions to battle against and destructive vehicular combat. It all sounds a bit familiar though, doesn’t it? 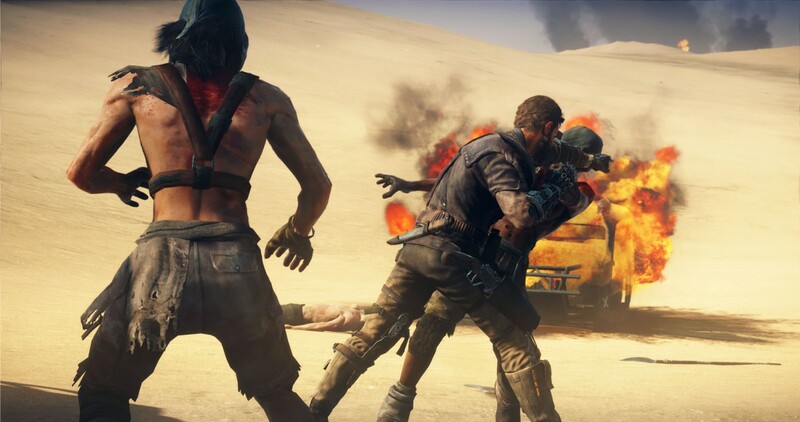 We’ve seen plenty of titles such as Borderlands or Fallout that have successfully delivered everything Mad Max has to offer; the game has a lot to compete against. 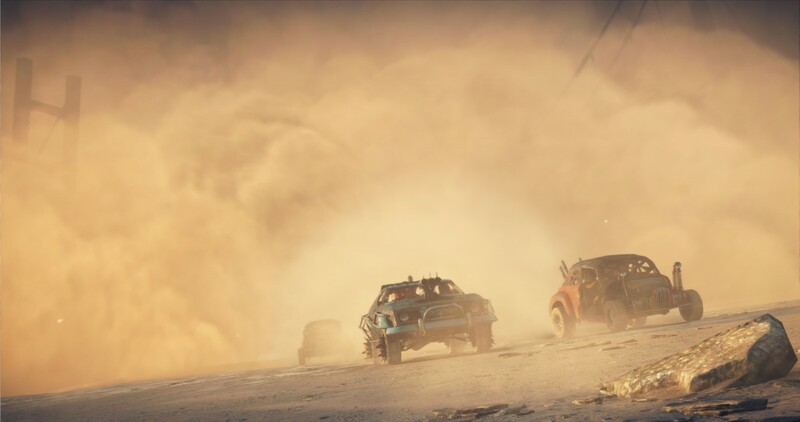 Whilst developers Avalanche Studios have delivered a satisfying, authentic Mad Max experience fans are craving in a video game, there are a few issues along the way that makes it fall short of the greatness achieved by the new movie. 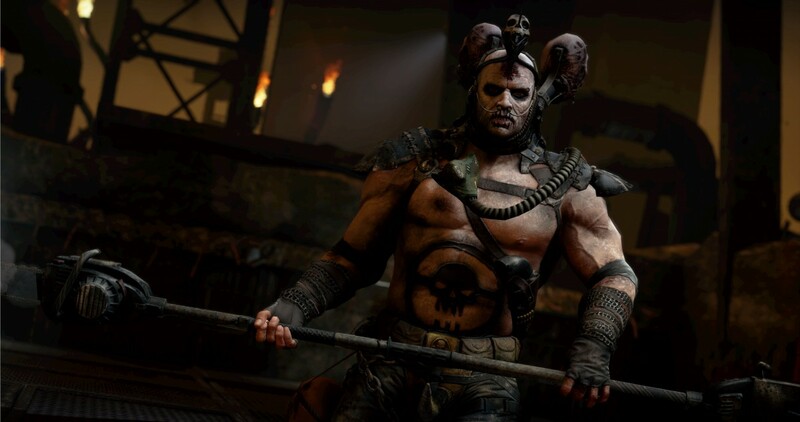 The game tells its own original tale in the Mad Max universe, opening with the titular hero penetrating the skull of local maniac warlord Scabrous Scrotus with a chainsaw. It’s brutal, but you wouldn’t expect it any other way. It’s not without context though; Max’s beloved Interceptor had been stolen from him by Scrotus’ gang and eventually tore down into mere scrap. With his new vehicle-less status, Max has to team up with local mechanic Chumbucket (these Wastelanders have some fantastic names) to build the Magnum Opus; a legendary vehicle that Chumbucket seems to worship almost like a god. Max, on the other hand, just needs a vehicle to seek out the ‘Plains Of Silence’ – his reasoning for this isn’t made entirely clear, but Max has never really been the vocal kind. Except that isn’t always the case throughout the game. The titular hero has always followed the mantra that actions speak louder than words and often his number one priority is himself. However, along the roughly 30 hour adventure Max will often be, uncharacteristically, conversing with many Wastelanders, performing often futile tasks for them along the way. The writing of the game is fantastic though so the conversations are a pleasure to listen to – it’s just unusual and slightly out of character. Whilst the narrative of the game tends to take a back seat compared to exploring the derelict Wasteland, a bit more fleshing out would’ve been appreciated. With a lengthy campaign to play through, it’s a shame the story only really starts to get exciting towards the end of the game. You won’t be unsatisfied with the ending, but rather that the high standard it reaches isn’t consistent throughout the game as a whole. Of course, Mad Max has always been less about the story and more about the Wasteland and its insane inhabitants. The world of Mad Max is absolutely huge, packed to the brim with places to see and activities to complete. Considering that the lands you venture across are desolate and often barren, they’re never short of character. Add in the weather effects along the way (you’ll often find yourself in blinding sandstorms or even in the middle of a brutal thunderstorm) and you’ll be fully enthralled, at times even blown away, by the environment Avalanche Studios has created; when the sun shines down on the glowing golden sands of the Wasteland you’ll be impressed they managed to make something so bleak appear so beautiful. Whilst traversing the sands in your Magnum Opus, you’ll be visiting plenty of locations. Whilst you will encounter a few makeshift strongholds in which you are able to take refuge, most areas are full of primal hostiles. There’ll be fuel depots for you to destroy, enemy strongholds to invade and even a few more unique locations such as the Underdunes or even an airport buried in sand in which you can wreak havoc – each landmark you visit guarantees an action-packed venture. A lot of these locations have a similar look so don’t expect masses of variety in their appearance. In fact, you’d not be wrong if you found a lot of the fuel depots and such you destroy only offer variety in their size. Whilst the unique story locations do offer that diversity you’ll be craving, it’s a bit of a shame that the same can’t be said for all locations in the game. Despite the repetition though, similar to the Wasteland itself everything looks consistently fantastic. Character models are great in the game; the citizens of the Wasteland are grotesque and real freaks of nature. The creativity in the design is outrageous, each faction you come across in the game having their own crazy look. Naturally, fans of the movies will feel a sense of familiarity; the outlandish Wastelanders look like they’ve been lifted directly from the movies, adding to the authenticity of the experience. Max himself looks, well, like Max – everything from the brooding features to the clothes he wears. It’s a shame that out of all the characters in the game, he stands out the least. It’s less to do with the work of the developers but rather that that is just how Max looks. It’s just difficult for him to stand out with his stereotypical action hero appearance when everyone else has a, outrageous, unique look. It’s nothing that can be held against the game though; they are working with the source material after all. The controls of Mad Max are a slightly mixed bag. Whilst there are the standard third person controls you’d come to expect, there are a few odd exceptions. Jumping, though rarely performed, is allocated to the L2 button. This would’ve better suited for aiming your weapon and I couldn’t find a way to change it; it just felt slightly awkward. Aiming your weapon was clumsy whilst battling too; it seemed to always auto-focus on an enemy, even if you wanted to aim elsewhere. It was slightly slow too, meaning if you wanted to react quickly your reflexes won’t quite be represented in the game. Vehicle controls are strange at first but you’ll get used to them. For the first half hour I couldn’t make a simple journey from point A to B without crashing my vehicle; this could be owed to the high speed in which you travel, but I cast the finger of blame on the awkward, drifty controls. I got used to them fairly quick and everything felt natural quickly; don’t be put off by the initial crash-fest you’ll encounter. It’s fortunate that the controls feel natural; you’ll be spending most of the game in the Magnum Opus, taking down enemy vehicles and strongholds alike. 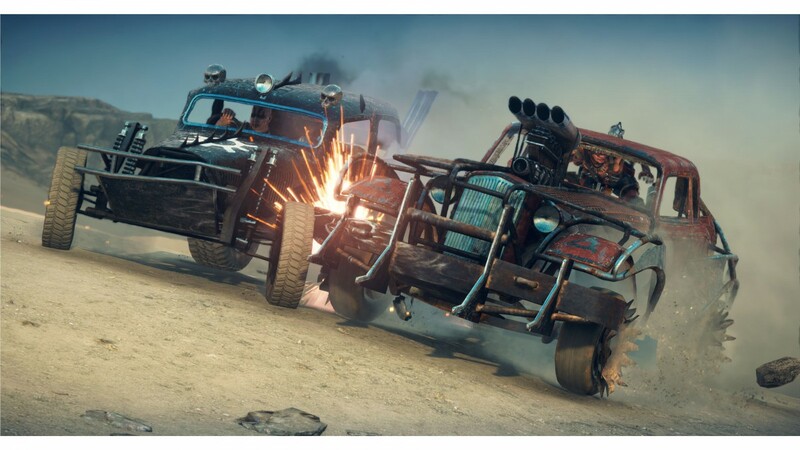 The car combat is awesome – some of the set pieces feel like scenes directly out of a Mad Max movie. You’ll be ramming, shooting and even harpooning enemy cars on your way to annihilating them. The game isn’t shy with its methods of killing and it all feeling very satisfying – it’s kill or be killed after all! Of course, as you progress through the games the enemy vehicles you encounter will become stronger and stronger. You can counteract this by upgrading the Magnum Opus with robust customisation options. You’re able to upgrade weapons, shields and even the appearance of your vehicle by spending the hard earned scrap you collect through the game. Some upgrades have requirements that need to be met to unlock them, typically consisting of you lowering the threat level in an area; an objective completed by destroying fuel depots, taking down Scarecrows (a sort of totem that represents the faction controlling the area) or destroying convoy routes of the enemy vehicles, amongst other methods. Whilst these tasks can feel slightly repetitive, the rewards are gratifying – you’ll truly be king of the road with your modded up Magnum Opus. An interesting approach Avalanche Studios have took with the vehicles is their need for fuel. It’s very relevant, especially considering its importance in the movie series. Whilst many might see it as a hindrance, fuel is never in short supply in the game so you won’t find yourself broken down in the wasteland, desperately calling out the AA. It’s a neat feature which again adds to the authenticity of the experience. Whilst the vehicular side of Mad Max is fantastic, the on-foot sections are a bit lacking. You’ll explore plenty of areas but not without a few oddities – for example, Max is only able to climb specifically marked areas. Whilst not a big deal, there were a few areas I wasn’t able to reach by simply jumping even though they were clearly in reach. Instead, I had to find the exact area the developers wanted me to be able to climb. It was just awkward and didn’t really feel natural. There are a few occasions where different actions are allocated to the same button, causing a few awkward moments. You also have to line up everything perfectly to perform each action; you won’t be putting that oil can in the back of your car unless you’ve lined yourself up perfectly, or even climbing that ladder. It feels like I’m nitpicking, but it was noticeable in the game on more than a few occasions. The combat in the game is largely enjoyable, the style akin to the popular Batman Arkham series. The formula works and you’ll be hitting your enemies with plenty of blows whilst carefully timing the countering of enemy attacks. Whilst similar and effective, it lacks the variety you see in the game it’s inspired by; Max doesn’t have the same arsenal of gadgets that Batman does, meaning that his attacks are limited to punches, grapples and the use of occasional weapon. It’s fun, but it’s not as exciting; it’s easy to see the inspiration, but it’s not easy to ignore that it’s not as good. That’s not to say combat is bad though – I certainly enjoyed taking down plenty of foes along the way, often in a brutal fashion. Just don’t expect a lot of variety in the method. Enemies don’t lack in variety though, with plenty of new types being introduced as you progress through the game. There are a few boss encounter along the way too, though these don’t spice up combat too much with their standard routine of simply learning your foe’s attack pattern. Similar to the upgrade system of the Magnum Opus, you’re also able to upgrade Max with a series of enhancements. Whilst you won’t feel as invested in upgrading Max as you are your vehicle, it still adds to the game and makes combat all the more easier, along with standard exploration. The main missions in the game mix up the variety with the on-foot and vehicular sections. Whilst there is variety in design, they can often start to feel a little repetitive. You won’t ever be bored with the game, but there is a real sense of familiarity the more you progress. Whilst side missions are a welcome addition, the sheer volume of side-content means they too eventually suffer with repetition. It’s a shame, but something familiar with large, open world games. The side missions are essential if you’re going to complete the game; it’s a challenge, and you’ll need the previously mentioned upgrades if you’re going to progress to completion. Though everything plays out consistently well in the game, there were a few odd glitches along the way. I didn’t have any issues with the general performance, besides a few dips in the frame rate whilst travelling at a fast pace, but more peculiar physics errors with your vehicle. Max also seemed to be bouncing around at a high speed at one point during battle; it was very odd but only occurred the once. However, enemies seemingly escaping an execution animation and being able to attack me occurred on a few occasions. It’s frustrating, though not game breaking. I went into Mad Max with high expectations; I’m a lifelong fan of the movie series and given how spectacular the latest entry was I had high hopes. Whilst the greatness of the new movie isn’t fully matched with the game, Avalanche Studios have still delivered an enjoyable, action experience. The Wasteland is stunning, the cast outrageous and the vehicle combat is solid, destructive fun. The game falters slightly with lacking on-foot sections, slight repetition with missions and a narrative that doesn’t really get going until the final quarter – still though, fans of open world games would be foolish not to give the game a try. Fans of the Mad Max franchise haven’t been let down – this is an authentic Mad Max video game that takes you back to the ‘original’ Wasteland. It even has nods to the movie series, my favourite being the dog food you eat to recover health being the same brand featured in the second movie. 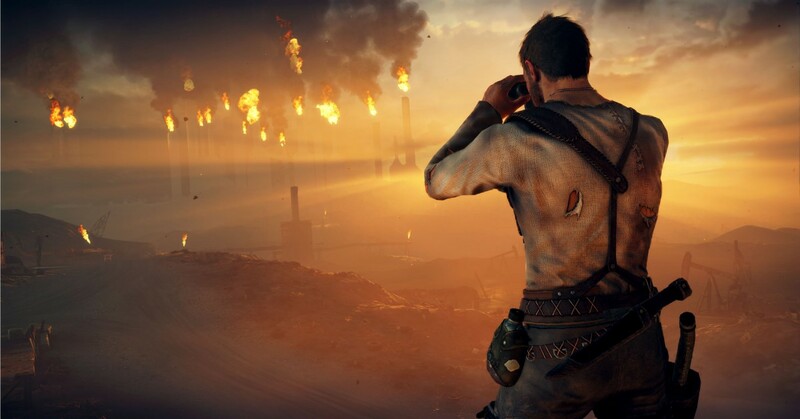 It’s far from a perfect game, but it’s the perfect Mad Max experience.